Joyful lei my son received recently. 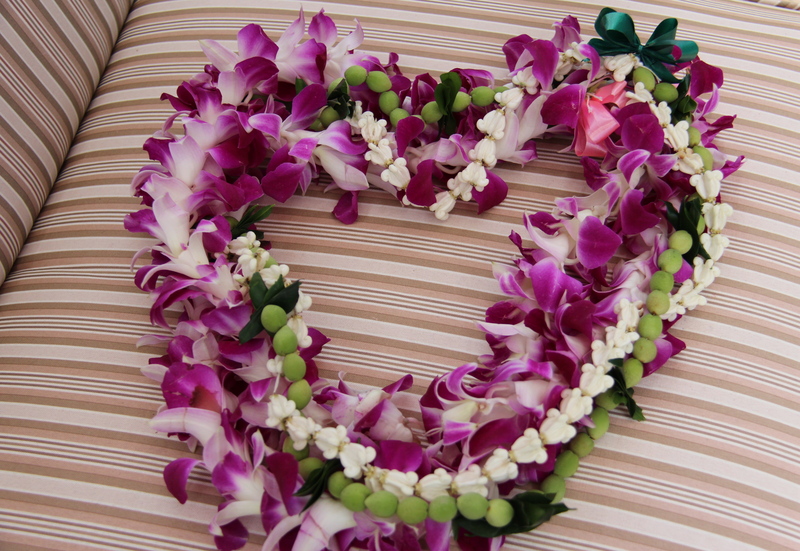 Aloha is a greeting or a way to say goodbye, but it is so much more. It is showing kindness, compassion, and empathy to others. It is a way of life that epitomizes everything good. I aspire to live my life with more aloha, but I know when I started blogging for a mission the aloha somehow got lost in translation. That is why I am focusing on the beauty around me. I need to share joy with others so I can step back from the pain of the past and continue to work on forgiving those who let us down. I believe small shared acts of kindness multiple just a quickly as seemingly evil acts. I choose kindness over anger and hate. I hope you’ll join me. You can also find me at my author site. Mahalo for your interest in my blog and my book. I am trying to reach you to announce the Young Voices Foundation Awards results. I cannot get through via your Contact Me site, Please email me at bobbi.carducci@youngvoicesfoundation.org so I can send you information. I got it! Thank you! I am honored and cannot wait to get the seals to place on the book. Thank you! I am glad you stopped by. I have been trying for ages to subscribe to your blog but for some strange reason, it keeps getting rejected. Just wanted to let You know that I would be visiting your fabulous blog a lot more often if I remembered. Without an email notification, I forget to visit! Hopefully, this will fix itself somehow soon. Thanks for letting me know. I’ll try to check with Word Press to see why that might be happening. I know others have been able to subscribe recently, but I think they are all in the U.S. Hopefully, it can be fixed. Hi there – I thought I’d pop by to say hello as I’m finally catching up on my reading. I must say, I’m very impressed that you have a book published…that’s one of my goals, to write a book. Thank you for popping by and for your kind comment. Yes it is a hard question to answer, but mostly because I stopped in spots. It wasn’t really writer’s block; I just had trouble figuring out how to make the story a complete work of fiction while still explaining how lack of understanding and bullying effects not only the victim, but the entire family. This is where my friends and sister-in-law helped including a friend who is a free lance editor. I ultimately wrote part of the story with a cast of characters that would have helped during that time and I allowed Mia and Cal to know their maternal grandmother which in our family wasn’t the case. The core family of a mom who grew up in the South and loves the Rocky Mountains, a dad who is Chinese American and grew up in Hawaii, a daughter who loves music and a talkative son resembles my family. All of the rest of the story except for the sensory traits of Asperger’s and the affects of bullying is fiction. None of the events happened the way I wrote them. This was necessary to protect not just my family, but also the bullies and others who failed to understand including professionals. Back to the question, counting the time I took to figure out how to do this, it took almost three years to write the rough draft, but it took extensive rewrites while working with a cast of editors starting with an initial editorial reviewer, followed by a wonderful developmental editor who was able to give me ideas of how to put in details I needed to tie the story neatly together, a content editor, a copy editor, a quality review editor and a proofreader to help me to make it the book it is today. The best money I spent was on the editing. I hadn’t written fiction since college prior to this although I have always read extensively.